A paper delivered at the 1967 Conference in London. The hymn singing of protestant England has passed through several quite distinct historical phases. The earliest, if we take Isaac Watts as the starting point of a whole era, is the tradition of hymn singing as an aid to scriptural exposition. The second, that which flowed from the Wesleys, is of hymn singing as an aid to Christian doctrine. The difference between the two is worth mentioning and, I think, properly discerned. Watts, Doddridge and others of the Calvinist tradition spend much time paraphrasing Scripture. Charles Wesley spends as much time paraphrasing the Prayer Book, versifying theology, and (as we have ventured to show in our own journal) paraphrasing such commentaries on Scripture as those of Matthew Henry. Doctrine, Experience, and (to an extent sometimes over-looked) liturgy competed in the Wesleyan tradition with the plain text of Scripture for the hymn-writer’s loyalty. These three traditions all have one thing in common in all of them, hymns are folk songs of the religious in-group of the gathered and covenanted congregation of English Dissent, of the inclusive hut very strongly vernacular body of classic evangelicalism, and of the liturgical family of the newly liturgical Church of England. In all three the wall between the sacred and the secular, the converted and the unconverted, the saved and the unsaved, had been firmly built before the hymns were written. ‘In-group’ folk song rests on certain axioms. You do not question the language in which those axioms are expressed. You have already agreed on it before you begin to sing the hymns: or in the case of the evangelicals, you have already agreed on it before you use the hymns as part of your teaching, and you are not tolerating too many questions or doubts in your candidates for conversion. One thing all these traditions leave out of account and that is secular literary judgment. It is irrelevant as irrelevant as it is in the judgment of sea-shanties or of the songs of the Beatles. In either of those secular cases (if the Beatles are secular, and upon my word I have sometimes doubted even that) you know what you mean when you say that literary quality ‘doesn’t matter’ Within a tradition of culture or protest or community, it is enough to carry the writings into positive effect; they do what their authors meant them to do without taking into account the demands that a secular poet regards as binding. What changed that? The first sign of it in hymns is the writings of Heber, who had a great feeling for poetry and who was one of the first hymn-writers to protest against the imperial power of doctrinal or scriptural literalism. We all know what the results were. Heber would write a hymn addressing a star: he would write a hymn on the Trinity which became Tennyson’s favourite he would write a hymn about the childhood of Christ (a subject on which Scripture gives us only one piece of information which Heber did not make use of) which caused one of our own founders, like a guid honest Scot, to describe its first verse as a unique achievement in crowding inaccuracies into twenty-eight syllables. Heber was rarely ugly he was often dubious and the best thing Heber did for hymnody was to introduce us to Milman’s ‘Ride on !’ —which is by any standards a masterpiece in combining good teaching with excellent poetry. But most great historical movements have a false start somewhere. To generate a momentum of their own they usually need to become the resultant of two or more forces. The Reformation could not really get going until the Renaissance had taken hold. The legalizing of hymns in the Church of England needed the tractarians to give it an active principle. Behind Isaac Watts there was Benjamin Keach behind the Wesleys, the Moravians. Behind Dearmer— Garrett Horder, to whom he often paid generous tribute. Garrett Horder (whom again we have celebrated fairly recently in our Bulletin) was a Congregationalist of the liberal tradition, having far more in common with the ethical and Unitarian wing of dissent than with the evangelical. Taking his cue partly from T. T. Lynch (whose nature-hymns had caused so much trouble in the 1850s) and from the liberal literati of nineteenth-century New England, he made the first gestures towards the fourth phase of English hymnody—that of culture and of ecumenicity. Dearmer, in his turn joining the knowledge of Horder to the poetic sensitiveness of Robert Bridges, gave this movement its active principle. I have used the word ‘ecumenicity’ intentionally. I mean it to convey, not (as I trust my hearers will already have recognized) the full-blooded inter-racial and inter-cultural movement that is now at its height, but the opposite of ‘in-group’ Horder represented this principle at a local or denominational level: in editing Worship Song he intended to produce a hymn book for Congregationalists, but not for them alone. Intentionally he played down the Congregationalist vernacular—which was Isaac Watts; and of course he had no concern with the anglican vernacular—which was the Prayer Book. He went on the principle that a hymn should be worth the attention of anybody sensitive to literature—or at least appreciative of good moral teaching and authentic religious experience expressed in decent verse. He had his limitations but you had only to hear the kind of thing that neo-orthodox Dissenters of the thirties said about his work to recognize not only what he was about, but what within his limits he achieved. What Bridges, standing immediately behind Dearmer, and Dearmer himself brought to this was a much more settled and convinced kind of taste. This is why Dearmer sought out Vaughan Williams. All the leading church musicians of the time had a finger in some hymnological pie. Parry, Stanford, Hopkins, Steggall, Selby, Frederick Bridge—they all knew what a hymn tune was. It was a decent piece of post-eighteenth century music with comments by Mendelssohn, written in the key of E flat, and ending with a perfect cadence. It was Vaughan Williams’s massive ignorance—his intentional ignorance, of the hymnological in-group vernacular that made him the ideal person to set the English Hymnal to music. It was the same instinct for the ecumenical that sent Dearmer not only to Horder’s Americans but to the poets of the English pre-hymnographical age, to call George Herbert in the English Hymnal, and many others of the metaphysicals in Songs of Praise, into congregational service. It caused him to plunder the Yattendon Hymnal, and to be very careful indeed, in the English Hymnal, in his choice of new authors. In compiling the English Hymnal, Dearmer very clearly had the 1889 Hymns A & M open before him. That was by far the mostused hymn book in the Church of England. Having just finished writing his Parson’s Handbook (which our own joint-Chairman has recently prepared for its latest edition), he saw in A & M many of the values which in the opening pages of that work he had attacked with passionate violence. The same tawdry meretriciousness which he hated in over-confident Victorian architecture and furnishings he found in the words and music of A & M. And yet in some ways E.H is a more conservative answer to A & M than a casual historical glance might lead you to suppose. If you lay the two books side-by- side (the 1889 A & M being to all intents and purposes nos. 1 to 638 in the still current ‘standard’ edition) you see, in his treatment of it, what were the parts which he specially set himself to revise. This 1889 A & M falls (you might want to say unkindly, falls apart) into four distinct sections, of roughly equal length the first 159 hymns are liturgical the next 149 are ‘General’; the next 165 are seasonal the last 165 are the ‘First Supplement’ If you call them Books I, II, III and IV, you find that Dearmer used 75 per cent of Book I, 71 per cent of Book II, 52 per cent of Book III, and exactly one-third of Book IV Those figures include the office-hymns which he retranslated, and one or two other hymns which he included in very different versions. From this it is obvious that Dearmer had, in 1905, a great respect for the folk-hymnody of the Church of England—the hymns which were already current by 1875 but that in the matter of sacraments, rites and seasons he looked for a much higher standard: and that he, like all editors after him, regarded the First Supplement as largely a dead loss. (The only point of interest about the First Supplement is when it arouses the reader to wonder how on earth the editors of the 1875 book managed to omit ‘Love divine’ and ‘Ye holy angels bright’). How much did Dearmer know about the 1904 revision of A & M? What he knew, if anything, he appears to have had little use for. In the ‘General’ section of the 1904 edition there are 199 hymns; of these thirty are new to A & M, and only four of these appear in EH, one of these being ‘Ein’ feste Burg’, which Dearmer used in a different translation. (The other three are ‘O Thou who earnest from above’, For the beauty of the earth’—again appearing in a different version in EH, and ‘Son of God, eternal Saviour’.) A & M in 1904 backed all the losers EH backed all the winners, or an extraordinarily large number of them. For a book that is now sixty-one years old, the survival-power of EH is staggering. Of course, it is a good idea to get your book banned by some bishops if you wish to increase its sales. The incident of 1907 when the book was forbidden in two dioceses (and when the publishers replied by producing that collector’s piece—the 1907 edition with five hymns omitted and the resulting gaps closed with deadpan typographical cunning) cannot have hindered its ultimate prosperity But here was a man who managed at the same time to prise hymnody loose from the tradition of in-group vernacular and to rear that hymn book through a perilous childhood into a very healthy maturity. Healthy? Why, yes and vigorous, and fresh. There are still hymns in EH which nobody who does not use it can sing, and which are magnificent. Not many—after the cheerful plundering in which all editors after about 1920 engaged but hearing ‘Dost thou truly seek renown?’ again recently , I was astonished that no other editor has made use of it. I was even more astonished at the thought that Dearmer himself dropped it when he went on to Songs of Praise. No it was, as we all know, not in its new material that EH broke the most significant new ground. It gave us ‘Ye watchers and ye holy ones’ , of course, and two (anyhow) immortal tunes of V-W’s, plus that tune to ‘Ye watchers’ which is virtually V-W’s composition as most of us know it. It gave us two or three Dearmer hymns which have lasted and become popular currency. It was rather in what it brought into currency from the existing treasury that it made hymn- singing history. It set ‘City of God’ to RICHMOND and ‘City of God’ became popular within a few years. Horder had set ‘City of God’ to BRISTOL. It set ‘Thy kingdom come: on bended knee’ to IRISH. Horder had set it to ST BERNARD. It found a tune for ‘Come down, O love divine’ And so on, and so on. But even if Horder had found a Vaughan Williams he would not have produced an ENGLISH HYMNAL. Behind all this there was Dearmer’s incandescent passion for liturgy as a function of beauty and reason. If we must be liturgical, he said, let us for heaven’s sake do things properly. Liturgical cults can, as nobody knew better than he, be a form of spiritual self-indulgence; half-baked liturgical notions produce—well they produce the 1889 edition of Hymns A & M, which with its half-recognizable office-hymns dotted about the Lent section is a capital example of how not to attempt liturgy. Dearmer firmly distinguishes between the singing of office hymns and the singing of ‘City of God’ and ‘When I survey the wondrous cross’ as two quite different kinds of activity, appropriate to two quite different forms of religious act. He was profoundly rational as well as profoundly aesthetic. Also quite evidently he was a first-class literary politician he knew, as it turned out, just how much (taking the long view) the catholic tradition in the Church of England wanted, and how much it could stand. He was, thank goodness, human enough to make misjudgments. So was V-W. The pedants of the Hymn Society have pointed these out—and they remember what V-W said about them! EH remains a monument—and more than a monument—a still vital book of congregational praise. It is by far the doyen of current hymnals, so far as its words go, and until we get into the 1960s I defy anybody to prove that any later book achieved its editors’ aims more fully and more acceptably than this book did, and still does. Now let us move on to Songs of Praise. The edition of 1925 is now something of a curiosity I hazard the guess that the last church to use it in regular worship was the University Church of St Mary at Oxford, which exchanged it for the BBC Hymn Book in 1952. It was quickly superseded by the enlarged edition of 1931, which those who used Songs of Praise at all used with enthusiasm. To be brief about the bibliographical side of this Songs of Praise may be described as the most influential non-hymn-book that we have had in Britain. It left the word ‘Hymn’ out of its title quite deliberately. It was a book of songs for Christians to sing, and especially for young Christians. Where English Hymnal preserved the vernacular of liturgy (and so kept alive some saints’ day hymns that qualify for the ‘Stuffed Owl’), Songs of Praise was one hundred per cent non-vernacular. It was an answer to the new mood of doubt and exploration which had now very largely superseded the old orthodoxies. History moved too quickly, or too slowly, for Dearmer just here. If he hoped that the churches would use it in large numbers, he was disappointed of his hope. It spoke the language of Archbishop Temple to a large extent but although he became an archbishop, not many spoke that language in his time, and those who did tended to speak it ill. Neo-orthodoxy overtook the churches, anglican and dissenting. EH continued to be the one single book which served the liturgically serious: SP was no use whatever to the new and growing cohorts of the evangelicals. The really odd thing about the history of SP is this that while it had moderate success in the schools, its small derivatives, under the astute guidance of Canon Briggs, had an enormous popularity and reached astronomical figures in sales. Briggs had next to nothing in common with Dearmer. He was a hard-headed educationist with a very strong evangelical streak. Briggs’s books—dozens of them, organized and edited for county education authorities—are hymn books, not song books. In them there is no extravagance, no eccentricity. They are what we are now taught to call ‘square’ all the way, but they all go back to Songs of Praise for Boys and Girls, Briggs’s first school book, which borrowed the title from Dearmer, and began the process of fitting Dearmer into the pattern of orthodox R.I. All these books referred to SP for their music, rarely varying on the Dearmer and Vaughan Williams choices of tunes. They varied on Dearmer’s words only in their greater attention to Charles Wesley and their rigid exclusion of anything which Bernard Manning would not have cautiously approved. That, by the way, is Christopher Smart, and who is it that has most memorably directed our attention to Smart’s poetry recently? Benjamin Britten in 1943 with his ‘Rejoice in the Lamb’ but Dearmer has five extracts from Smart in 1925. In that 1925 book there were 449 hymns plus 21 doxologies. Not counting the 21, we find that 292 of the 449 were in EH. In the 1931 book there are 703 hymns, but the contribution from EH falls to 278. He changed his mind, in the larger book, about two hymns that had been in the 1889 A & M ‘Shepherd divine’  and ‘Jesu, thou Joy of loving hearts’ . Otherwise he kept his list of proscribed material from the old tradition unchanged. Among hymns which he never used, but on which most later editors have disagreed with him, arc ‘O Love, how deep, how broad, how high’, ‘Thou art the Way’, ‘Come gracious Spirit, heavenly Dove’ and ‘Praise the Lord: his glories show’. Martin Shaw’s setting of that piece in 1931, replacing a rather gaunt and craggy one by Heathcote Statham in 1925, is a very good example of Shaw’s gift for handling intractable lyrics in a simple way. The tendency was all away from evangelical language. Dearmer came more and more, we are told, to dislike the image of the ‘blood’ of Christ. Cowper’s ‘fountain’ is in EH, but it did not stand a chance for SP. The tremendous, overpowering language of ‘Lo, he comes’ in EH and in 1925 is modified and rounded off to some extent in 1931 [cf. EH 7 and 1925-43 with 1931-65]. The expansive images of an almost humanist faith appealed to him far more—as in such hymns as Whittier’s ‘When on my day of life the night is falling’ [398/697]; and the social passion of Studdert Kennedy he found irresistible [399/698]. (What a great hymn might Studdert Kennedy’s wheels and engines have produced had he resisted that last line—‘God in a workman’s jacket as before’!). I will here be content with three remarks about Songs of Praise. In the first place it is interesting, I think, to see how Dearmer’s mind moved between 1925 and 1931. We can now see the 1925 book as a pilot book, on whose progress Dearmcr was able to judge the line he should take with the enlarged edition. Anyone who examines the two editions will find that Dearmer, in preparing the enlarged book, was anxious to provide much more amply for the longer church seasons (Epiphany, Lent and Easter) than he had done in his first one that he withdrew to a certain extent from his principle of keeping as little as possible in the seasonal sections and putting as much as possible into the ‘General’ section; (his ‘General’ section in 1925 is 30 hymns longer than that in EH although the total book is nearly 200 shorter): and that he drew much more on the writings of contemporaries, and on his own, in the new book. It seems that he was persuaded that the new book would be used in churches; but not that it would be used by churches that required a liturgical office-hymn system. That is to say, he was sure that there were enough churches which wanted a forward- looking hymn book, with a considerable emphasis on carols and a very decided emphasis on modern literature, to make his new book a success. I do not think I need spend much time here on an assessment of Dearmer as an author. The best way to judge him is to sing him. It goes without saying that he was a very skilful writer of lyrics. There are a number of very good Dearmer hymns—more than have entered into the general currency. 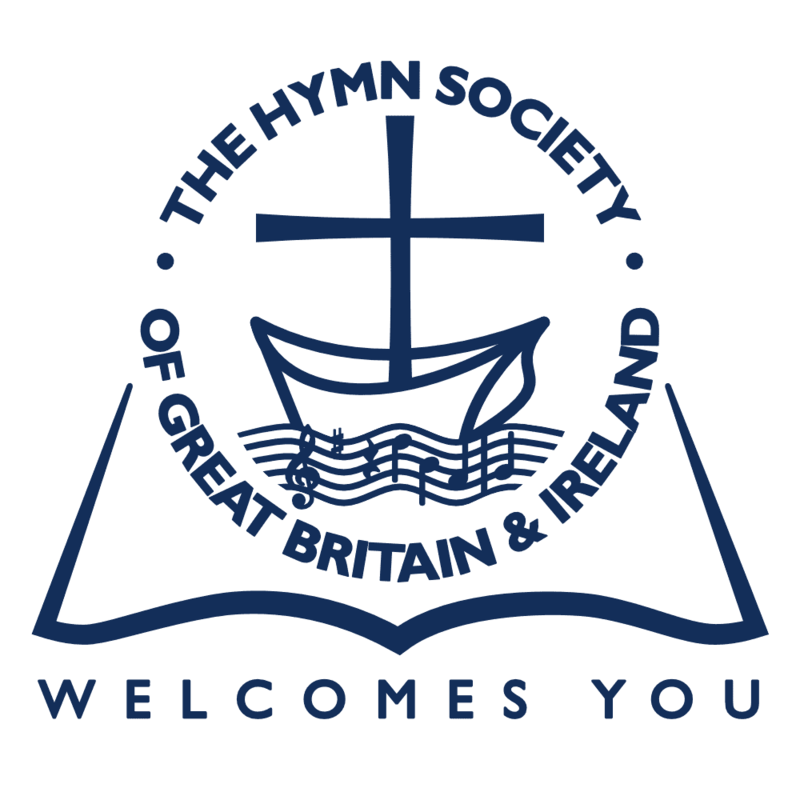 I note that the Church Hymnary (1927) picked up one of his hymns, and one translation: that Congregational Praise has two hymns and four translations; that the Baptist Hymn Book has the same figures (not the same hymns); the Methodist Hymn Book has three original hymns, the BBC Hymn Book, two, Hymns for Church and School, two originals and three translations. Although these modest figures cover ten or twelve different hymns, it is clear that as an author Dearmer has had little ecumenical impact. ‘Jesu, good above all other’ is clearly his most popular original hymn ‘Remember all the people’ has com- mended itself here and there. But the selection you are going to sing to-morrow will show you how much there is of which editors could still take notice. But I must certainly offer some kind of judgment, hazardous though this is likely to be, about the way in which he treated the work of other authors. It would be a churlish judgment indeed which threw out ‘Jesu, good above all other’ because it was based on an earlier model. Perhaps it would be proper for future editors to ascribe Dearmer’s hymn to ‘Dearmer, based on Neale’, as the English Hymnal Service Book does. But what you must not overlook is this that Neale’s verses would never have gone into A & M Revised, with the tune QUEM PASTORES, if Dearmer had not rewritten and expanded them so successfully in the English Hymnal. The revisers of A & M knew that Dearmer’s was a popular hymn, knew that probably they would not be permitted to reproduce it, and resurrected Neale to replace it—with the tune exactly as it appears in EH. Much the same story can be told of a rather more controversial hymn, Dearmer’s revision of the Bunyan Pilgrim Song [EH 402]. This is really quite a complicated business—entirely typical of the subtle processes which produced EH. Here is Bunyan’s poem and there is Vaughan Williams’s tune. If you look up the original in the Journal of the English Folk Dance and Song Society you will see that V-W did a good deal to that original to make MONKS GATE. But in its new form, there is the perfect setting for Bunyan. Whether V W or Dearmer thought of it first we cannot say, but I suspect it was the musician. Anyhow, Dearmer has now to ask whether Bunyan’s words are a hymn. In their context they are Bunyan praising Mr Valiant-for-Truth. They are not addressed to, or even about, God. So when you sing them you are saying ‘For the present, I am Mr Valiant-for-Truth’, not ‘At this moment I am addressing God as a Christian’. Now I don’t mind Bunyan’s song as it stands, because our Free Church liturgies are often a kind of play a dramatic form in which the hymns play the same part that they play in ‘Noye’s Fludde’ So if you know what you are doing when you write your script, you can use Bunyan. But that was not how Dearmer’s mind was moving in 1905. V-W would probably have been quite happy with it, because V-W was, or was to become, a composer of operas. Dearmer said, ‘can we keep the spirit of this but transform it into a Christian hymn?’ His answer was what we have in EH and both editions of SP but what most other editors have rejected. Yes they have rejected Dearmer: but with what enthusiasm they fell on Bunyan’s verses—especially the Free Churchmen who claim that Bunyan was one of their fathers—once V-W’s tune had drawn their attention to them! Attempts to provide alternative tunes have shown, for the most part, how incongruous any fair-and-square hymn tune is for those words. (Winfred Douglas, I fancy, comes nearest to writing a good one, in the 1940 Episcopal Hymnal of the USA.) In those two instances, Dearmer has by a revision given to an original a momentum which otherwise it would never have had. Let us examine one or two of these. The easiest example to take for a beginning is 1931/683, ‘To the name that brings salvation’, because it is set to a tune which went to the original words not only in EH but also in the older editions of A & M, the tune ORIEL. ’tis our help ’gainst sin and hell. by the citizens on high. makes his ghostly vision clear. eyes to blind, and feet to lame. we with angels may have part. saving us from sin and hell. all that is stands fast to-day. radiance never vexed with ire. may the law of love obey. life that doth all life uphold. I rue and just thy ways to man! For the ‘name of Jesus’, Dearmer has substituted the Name of God— which words he uses as the title of his hymn. He has conflated the ecstatic language of Neale (‘Name of awe and Name of pleasure’, for example), with tags from the language of science (‘light-years’), the musings of contemporary mysticism (‘beauty, truth and goodness’— a formula from Robert Bridges of which he was very fond), and a touch of urgent, enthusiastic didacticism typical of the ‘discussion- group’ theology of his time (‘not by force, the easier way’). The result, I venture to judge, is a thoroughly uncommendable hymn, altogether too ‘S.C.M.’ in its approach to language to make a good lyric, lacking the height and depth of Neale, substituting the somewhat restricted length and breadth of 1930 apologetic. An example which some consider particularly outrageous is ‘Christian do you see him’ [1931/466]—again based on Neale. But this time it is based on a highly popular and picturesque original. night shall end in day. — Christian, do you heed him? shall be near my throne.’ — Christian, do you mark him? far as man can see. [N.B. : the italics are Neale’s own] — Christian, then obey him! Now here is a new factor which confuses the issue if it is not observed in time. Dearmer looked at ‘Christian dost thou see them’, which he had put into the English Hymnal as Neale wrote it. He decided that it would not do, although it was a good idea. But he, or V-W, had already decided in 1905 that the tune which had made it enormously popular would not do either: so for Dykes’s tramping, thrusting music they had substituted a demure and blameless tune adapted from a composition of the German post-Crüger school. He was over-optimistic if he thought that by 1930 everybody had discarded Dykes and that GUTE BAUMEN BRINGEN was strong enough in people’s affections to carry his new words. However he set himself to follow Neale’s pattern in his first lines—the same formula with a new verb each time—and also to follow Neale in introducing a scrap of dialogue here and there. But unhappily, he either mistook or deliberately disregarded Neale’s intention. In Neale, the dialogue is between Christ and the believer, without any doubt. In Dearmer it is between a preacher and his congregation. Once again we get the patchiness we noticed in the other hymn: ‘Follow the ideal’, and ‘Love them for their own sake’ are not happy lines, and ‘Say “What lack I yet” ’ is a curious non-sequitur in verse 4. What objection he found to ‘Sing praise to God who reigns above’ one cannot readily understand. Neale he sometimes respected, sometimes found too archaic for his taste. ‘Sing praise to God’ is a cheerful and delightful hymn by anybody’s standards. Dearmer’s substitute at 1931—640 is a brave effort to establish the unity of the faithful, Christian or pre-Christian. to mould our ways of thinking. and men thronged up amazed. That gives the touch of radiance which is so often absent from our Pentecostal devotions. I can understand Dearmer protesting against the unseasonable decorousness of so much traditional Whitsun praise. It is the restlessness, the talkativeness, of some of Dearmer’s work that has held it back from the success he hoped for. When you compare him with Neale (about whom we heard so much last year) —and the comparison is an interesting one, as between the essentially backward-looking and the essentially progressive hymn-writer—you find in Neale a quite unique sense of the mystery and the massiveness of the Faith, while in Dearmer you find an equally characteristic sense of its urgency and energy. When Neale goes off the track, he lands in precious quaintness when Dearmer leaves it, he flounders in the worst kind of dogmatic prose. But when we have said all that, we are left with the need to make a judgment on Songs of Praise, and the judgment I venture to make here is a convinced one, even though it may provoke a good deal of disagreement in such exalted circles as these. I approach it on the principle which I think any reviewer of a hymn book should use. On the one hand, you can say whether you like it, agree with it, and would be comfortable using it at worship. From that point of view I personally would say that although I could do a good deal worse, I should hardly expect to find in a hymn book edited 35 years ago all that I want a congregation to say now. I do not think it is less relevant to present day needs that the book I do in fact have to use—the 1927 Church Hymnary. Surprisingly (to myself) I do not think I would rather live with it than with the English Hymnal, though I think it beats the revised A & M at many points. For a book as old as it is, I think it has worn better than some of its younger cousins may turn out to do. But all that is personal, whoever says it. The more important question is this does the editor (or editorial committee) make it quite clear what they want their book to say, and then say it consistently? Do I see what you mean, and do you then go on to say precisely that? the world in ruin cowers. Now come, O God, in thy great might!